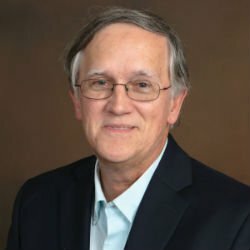 Dr. Mark Lokitus, Psychiatrist and Addiction Specialist currently established within his self-practice in Fort Myers, FL, has been appointed to the American Health Council’s Physician Board. With 25 years both in his current role and in the healthcare industry, Dr. Lokitus shares with the American Health Council is honoring him in “Best in Medicine” for his expertise in Addiction Treatment and Nutrition Education. Obtaining his DO from Des Moines University College of Osteopathic Medicine in 1987, Dr. Lokitus has also held a Residency in Psychiatry at Michigan Hospital & Medical Center in 1992. He cites becoming involved in his current profession as he has always wanted to help others, improving their quality of life, and cites his continuous success to having self-discipline and a desire to learn. At his self-practice, Dr. Lokitus engages in day to day responsibilities, including treating patients struggling with drug and/or alcohol addiction. Major products and services offered include Mental Wellness, Mental Health, Nutrition Education, and Addiction Treatments. Dr. Lokitus has been honored to have been garnered with numerous awards and honors, including The People’s Choice Award in 2013 and 2014, as well as The Top Doctor Award in 2015. He is professionally associated with The American Medical Association, The American Osteopathic Association, and The Physician Committee for Responsible Medicine. Concerning the future of his extensive career, Dr. Lokitus’ plans within the next 5 years include growing his private practice and continuing to educate others on the importance of health.